Kensington Palace have confirmed Prince Louis will be christened in July. Prince Louis will be christened next month. Kensington Palace have confirmed that Prince William and Duchess Catherine's eight-week-old son will be christened by The Archbishop of Canterbury, Justin Welby, at St James's Palace, London, on July 9. 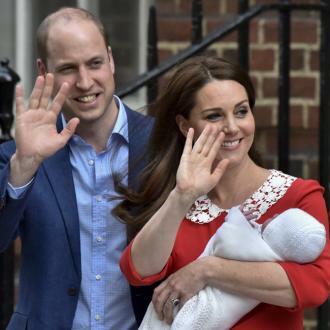 A post on the Palace's official Twitter account reads: ''The Duke and Duchess of Cambridge are pleased to announce that the christening of Prince Louis will take place on Monday 9th July at The Chapel Royal, St James's Palace, London. Last month, Kensington Palace released the first official pictures of Catherine and William's newborn, who was born on April 23, and the couple admitted they were ''very pleased'' to share the snaps. A Kensington Palace tweet read: ''The Duke and Duchess of Cambridge are very pleased to share two photographs of Princess Charlotte and Prince Louis, taken by The Duchess at Kensington Palace. Louis was born at the Lindo Wing of St Mary's Hospital in London's Paddington, on St George's Day, weighing 8lb 7oz. Catherine - who also has four-year-old son Prince George and three-year-old daughter Princess Charlotte with William - recently admitted she ''cherishes'' spending quality time with her family.